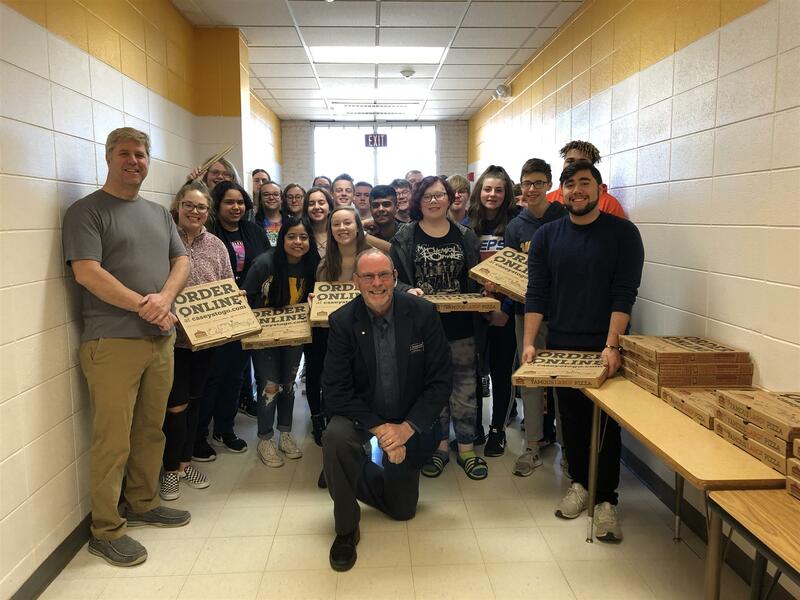 Rock Falls Rotarian Bob Sondgeroth, middle center, delivered pizzas to Mike McCoy, left, and the SHS Band members in appreciation for those who volunteered to perform at our annual Farmer's Night Dinner. Their program was great and was enjoyed by all in attendance. Thank you for stepping up and entertaining our guests.